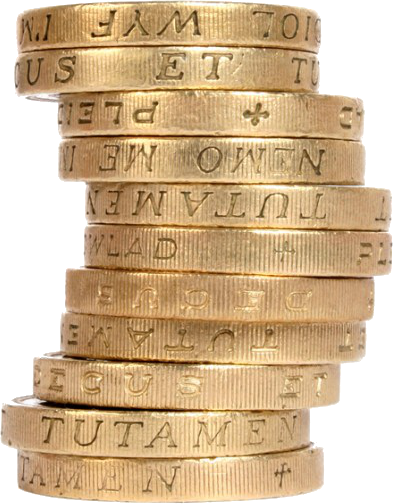 We’re here to give you a friendly reminder that the old £1 coins cease to be classed as legal tender, as of Monday 16th October. Instead we’ll be using the shiny new £1 coin! The first place many of us will look for old pound coins is probably the most obvious – your wallet/purse. But what about those other places that we forget about, yet nearly always find coins? The car – have you ever keep change lying around in your car to pay for parking? Have a look in your car may make you a few pounds richer. The sofa – under the sofa cushions, or under the whole sofa always tends to be a meeting place for loose change. Old bags/coat pockets – have a look through the pockets of last year’s winter coat, or inside some of your old bags. You could easily come across some coins. If you do this exercise and find old £1 coins – great, you can keep on reading. If you end up finding many other coins but none of them old £1 coins – great. Put them into a savings jar! Whilst many shops have been advised to cease accepting these old coins, a few will continue until after this date. With that being said… it’s probably easier to swap them for new ones as soon as possible. Banks will continue to accept them until after the end date – this date mainly affects shops and businesses. If you’re thinking about saving this money and eventually taking it to a bank than you could keep hold of it. Why not pop it into a savings jar at home? However if you’re not one for saving change, get it spent!